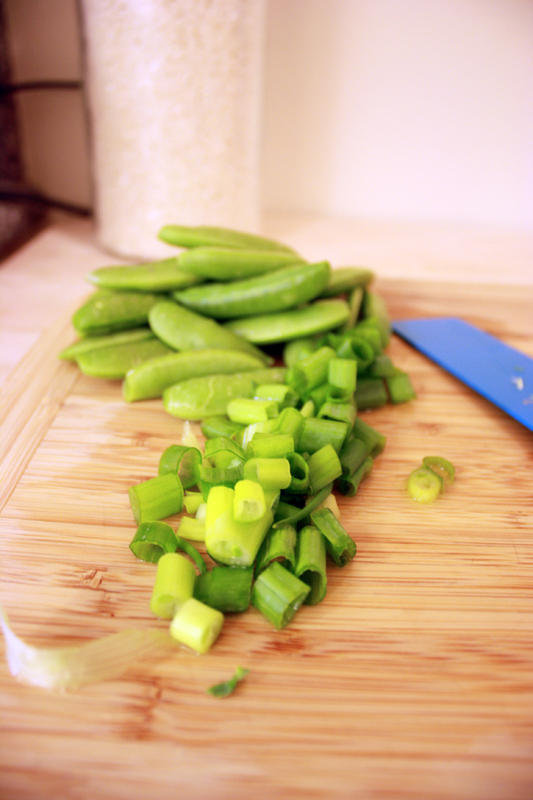 I have never stir-fried anything in my life, and it is the easiest thing in the world. My husband is half Chinese and enjoys making stir-fry from time to time with food such as mushrooms, baby bok choy, and tofu; you can see why I usually just leave this task up to him. But this past weekend we picked up a bunch of vegetables from the grocery store, and last night I threw them together. 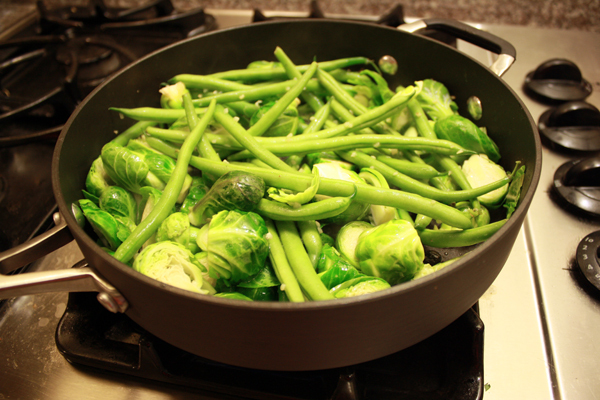 I put the vegetables I thought might take the most time to cook into the pan first and then added the rest. I improvised on adding the other ingredients. And it was delicious. 1. 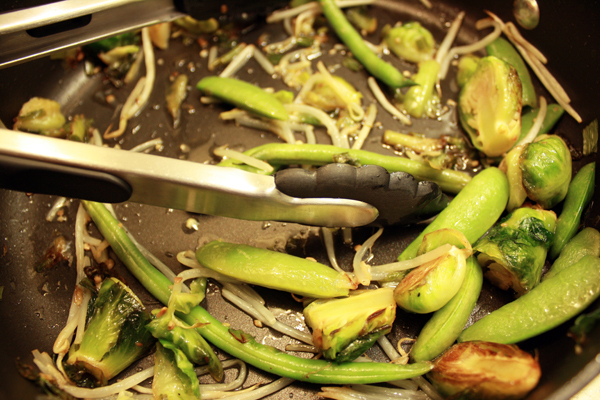 Throw some oil in a pan, place stove on medium-high heat, and add the vegetables. Throw the slower cooking ones in first, and gradually add the others. 2. Add minced garlic, butter, salt, and pepper. Yay vegetables! Yay easy! You can put whatever vegetables you want in here. You can put however much oil, garlic, butter, salt, and pepper you want in here. Isn’t this the best? 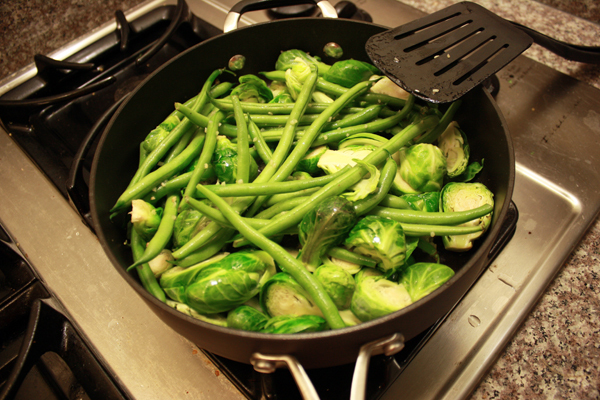 Also, it will look like a lot of vegetables in the pan, but remember they shrink. P.S. I was baking cookies as I wrote this post. Gotta balance it out, know what I mean?